Kissing Frogs Ceramic magnetic salt and pepper shaker set. H:?2 1/2". You have to kiss a few frogs before finding Prince Charming! 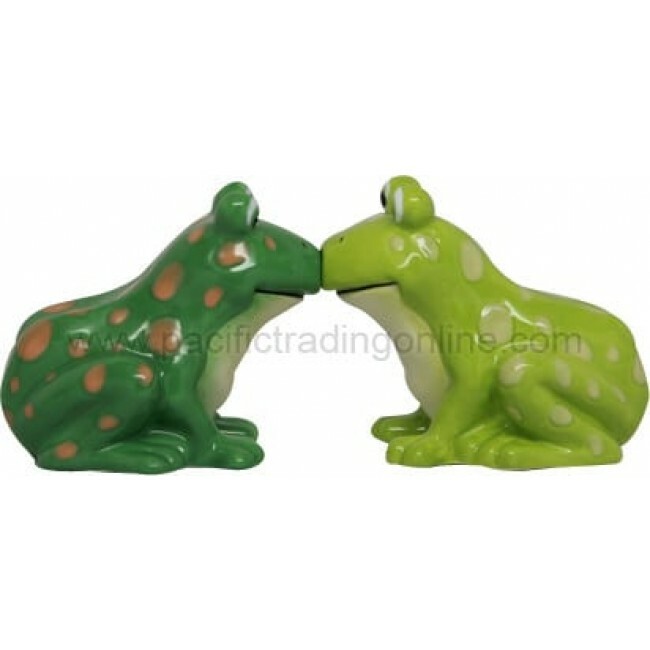 Kissing Frogs 2.5" ceramic salt and pepper shakers will be the cutest addition to your kitchen! Features a magnetic insert to hold the two shakers together.